“Things We Carry. Our Bodies as Home. 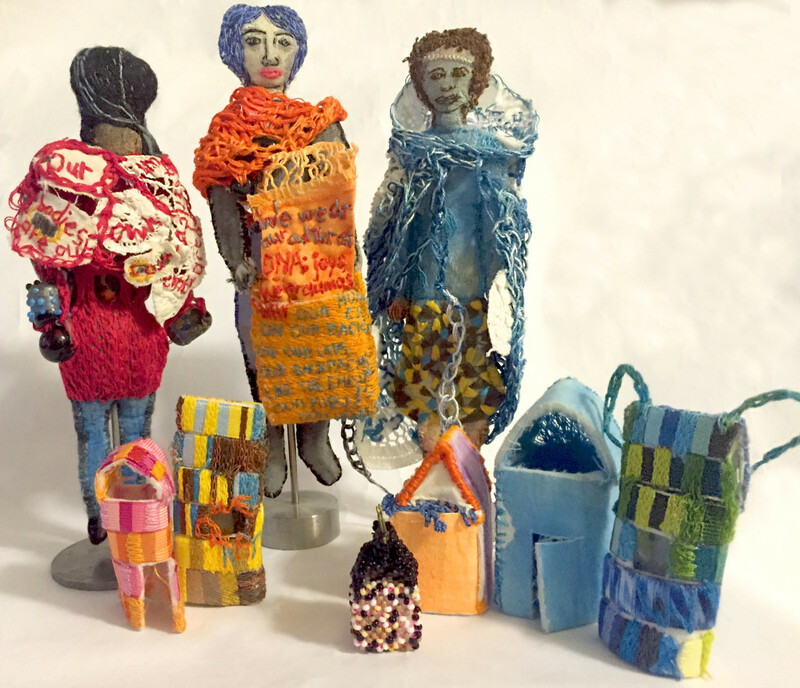 Belongings as Home/Cultural, Familial Baggage, DNA.” Sculptures with paint on fabric, hand formed glass beads, embroidery, stiffener, stuffing. Dimensions variable. 2016.